Change Media and Nexus Arts, in collaboration with the Regional Gallery of Murray Bridge, present this experimental art exhibition as part of its national What Privilege? Initiative. Here is a sneak preview slideshow from the opening at Nexus Arts on April 5th:. Update: Missed out? The Unity of Oppression will be on tour at the Regional Art Gallery Murray Bridge June 15 - July 22 2018. Playing with the duality of light and dark, using acrylics, sculpture and multi-media, five artists from culturally diverse backgrounds create a journey into the complexities of power, privilege and oppression - inviting you to peel away hidden layers and join them on a creative crime scene investigation of our shared humanity. The Unity of Oppression works are co-led with interdisciplinary Ngarrindjeri-Chinese artist Damien Shen [painting, mixed media] and feature emerging artists Emilijia Kasumovic [drawing, mixed media] and Jelena Vujnovic [drawing], alongside work from Jen Lyons-Reid [line art, poetry, mixed media, sculpture] and Carl Kuddell [poetry, mixed media, sculpture]. This project has been assisted by the Australian Government through the Australia Council for the Arts, its arts funding and advisory body, and by the South Australian Government through Arts SA, with support by Nexus Arts and the Regional Gallery Murray Bridge. A message from God to the Blackfellow, is an ongoing significant body of work by Ngarrindjeri-Chinese artist Damien Shen. 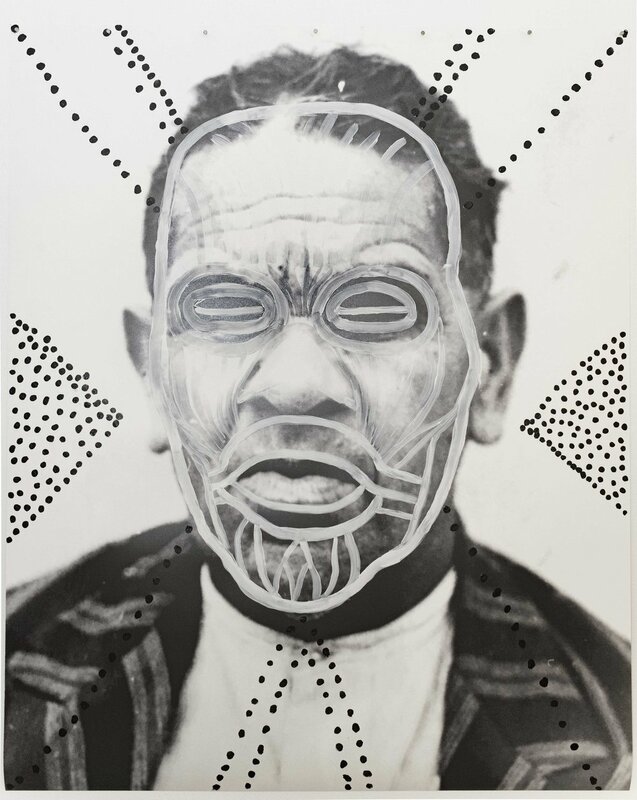 In continuing his engagement with archives and museums, Shen draws on the encounters between Reverend George Taplin and the Ngarrindjeri people, to establish a thematic framework for this series. These encounters are drawn from Taplin’s diaries and give great detail on his engagement with Ngarrindjeri. Shen was particularly drawn to Taplin’s entry about a discussion with a ‘native’ on April the 7th, 1859. 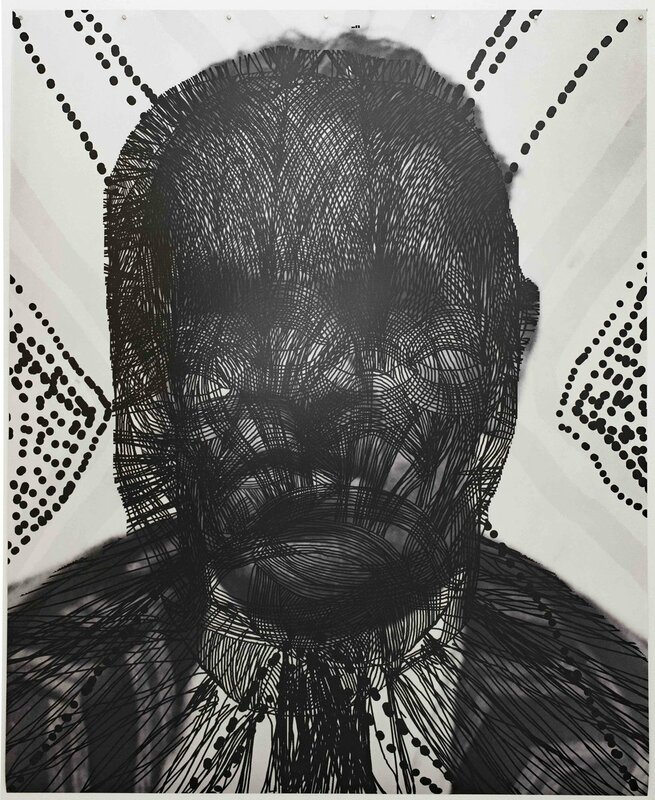 For these new works, Shen’s response to the righteous and paternalistic views of the times, which position his ancestors as inferior black subjects, takes the form of a series of large digital portraits, depicting his Ngarrindjeri elders, whom were photographed by Norman TIndal at Raukkan in South Australia. These mixed media works depict his family, displayed in a monochromatic and sombre palette. A stark background frame their figures, a visual cue to the anthropological methods utilised in ‘documenting’ the Ngarrindjeri community. Whiteness didn’t just surround each of his forebears, but pervaded into their very being. They are submerged underneath a sheath of pale rhythmic dotting, ghosted in the virtues of whiteness while their selfhood was simultaneously erased by ‘well-meaning’ messengers of God, in state-sanctioned, publically funded assimilation machines. 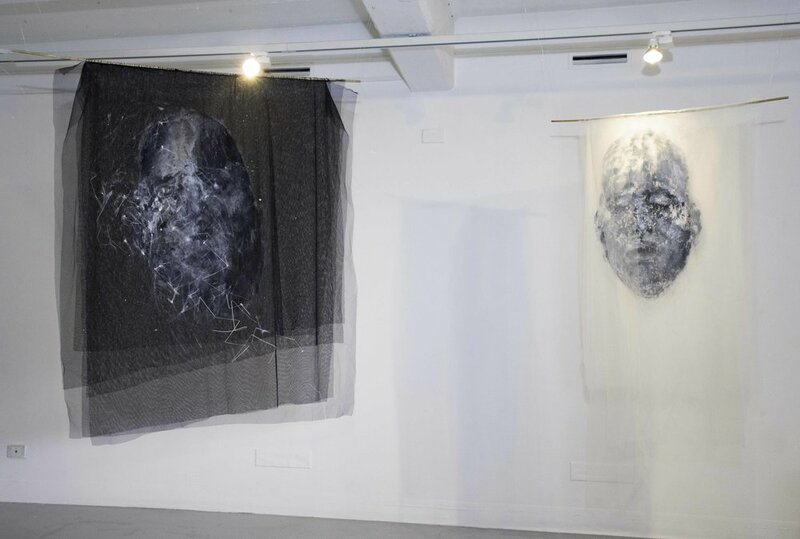 Using painting and drawing on layers of sheer fabric, Emilija explores the mind’s ability to stretch beyond what we are conditioned to believe about our privileged state and position in the society. The need for violence, war and division are all distorted search by us for pleasure and happiness, and therefore, generated by the egoistic principle and our identification with ‘form’. Our need for possession and dominance is how ego feeds and continually generates its power. Once we realize that our true self is not conditioned by form, or anything we can name, categorize and identify with, we dissolve into boundlessness. 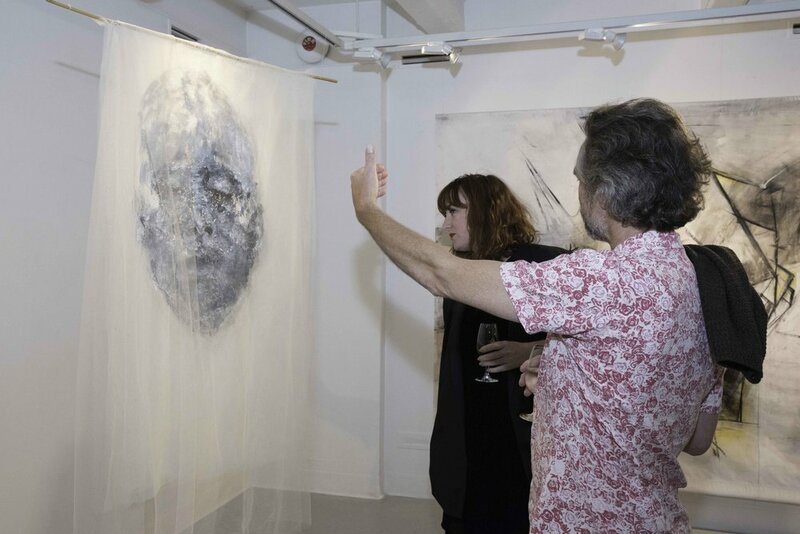 Within this work I invite the audience to explore the fragmented nature of the remembered landscapes in my mind. I have used the forms of the Yugoslav monuments that sit in stark contrast to their organic landscapes. Monuments that stand grand and strong to commemorate lives affected and lost in times of war. The works invite the audience to engage, without offering the opportunity to be deciphered entirely. We all have an endless layering of memories from experiences in different environments, while simultaneously, the environments are influenced by events that unfold in them. My travels back to Serbia and Croatia are a catalyst for new engagement with my old homes and the feedback between memory and environment continues, with each leaving a mark on the other. My upbringing, exile and migrations are unique to me even though they are a common story. What we all share is the unique nature of experience, what divides us is the inability to fully understand each other’s experiences. To develop tolerance, I believe we need to let go of the need to define each other in absolutes and focus instead on acceptance. Acceptance gives way to respect, and therefore tolerance will grow. We are exploring how to depict the messy, entangled interdependence and connectivity of power and privilege to renegotiate and reinvent our shared humanity. 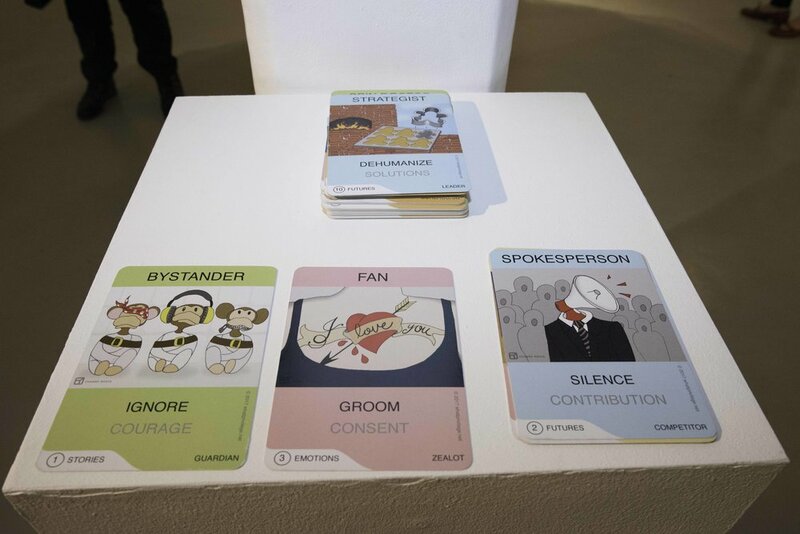 The satirical cards depict inevitable power and privileged behaviors we have identified over 20 years of co-creative practice. They are the provocation for our 2017-18 national project, ‘Creating Together – what can possibly go wrong?’ We invite audiences and collaborators to notice, disrupt and reframe colonizing mindsets through a series of Power-Tarot and role-play games. The laughable clowns of power shake hands, clothed in the emperor’s old quotes, a deal ritualized. 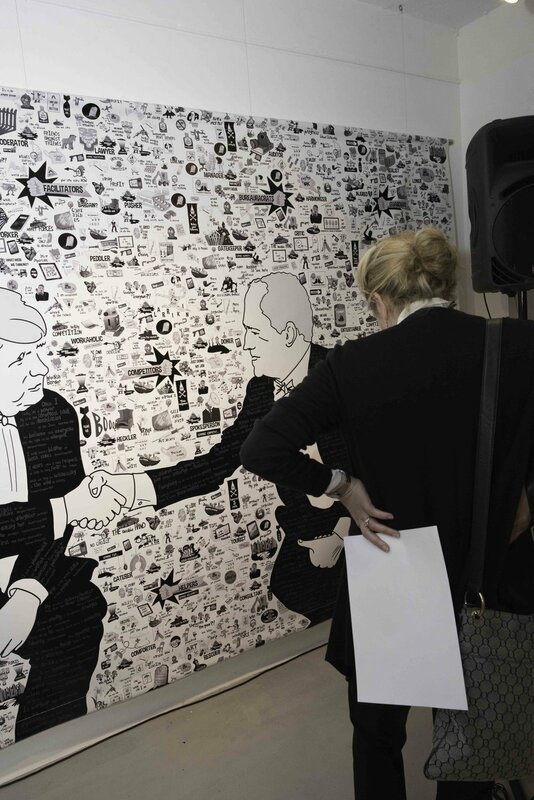 The corporate wallpaper backdrop displays a thousand cartoons, an iconographic map of supremacy beliefs and oppressive slogans encoded in the fabric of culture. These colonizing mindsets are interconnected and simultaneously absurd and inevitable. The rules are rigged. Everyone is a player. We all know the game. In a global confluence of moral and metaphysical bankruptcy, what are we going to do about it? Pick a card, any card. 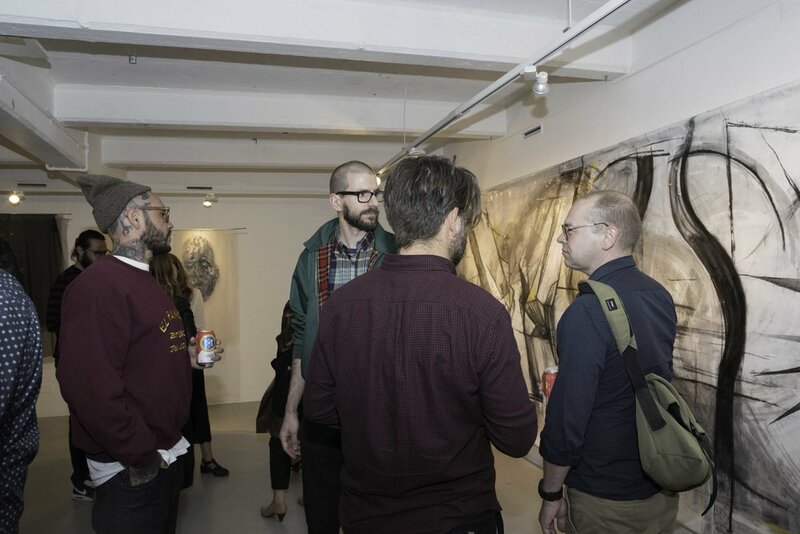 We focus on the wall as a negotiated space, using dialectical satire, street-art murals and branding to mirror the absurd wallpaper commodification of art. We believe Enlightenment philosophy is a colonial frame we are all acculturated into - class power, sexism, racism, ableism, capitalism… are all narratives that privilege selected people, who benefit from the oppression of the targeted. These stories are so deeply woven into our daily lives as natural, and/or historic, it can be confronting to explore our personal involvement, easier to blame it on a few bullies, ‘it’s not me’. Yet every human interaction is a negotiation, defining how we have control in our lives. We use cartoons as a playful tool to explore how we maintain power through ignorance. 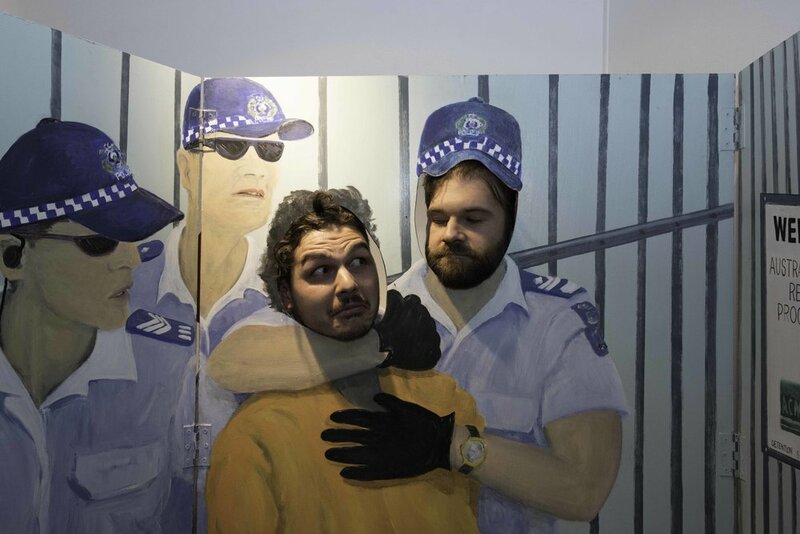 All the interactivity of a funfair selfie, the foldout scene from the Woomera Detention Centre jailbreak in 2002 offers the viewer the opportunity to get into the picture. Will you be immortalized as the detainee or the enforcer, with the power to maintain the status quo? There were 21 million people seeking refuge worldwide 15 years ago, now there are 60 million. Australia detains thousands overseas, to protect ‘our’ borders. In a Kafkaesque, out of sight, out of mind, bureaucratic brutality, people are destroyed to maintain the delusion of ‘our way of life’. We think the work, first shown at SALA 2003, remains disturbingly relevant 15 years later. Selfies welcome. Photos by Wild Light Projects - thanks Amanda for your amazing support.